Semi Wave Waterbed Mattress, not too much motion or too little motion. This water mattress has about 8-10 seconds of motion. Just the right motion at a Great Price! 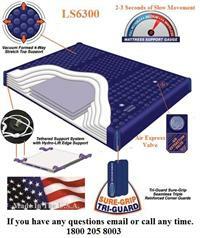 If you need to replace your hardside mattress this of excellent quality made in USA. Very Comfortable with only 2-3 seconds of slow movement. Filled with super soft fiber with mid body support. Heavy Vinyl, Teathered Internals with Reinforced Corners. Made in the USA. This is a high quality mattress. Includes Fill kit & Conditioner. This Super Single free flow waterbed mattress was built by Unites States Water Mattress and they built it with the highest quality dark vinyl. 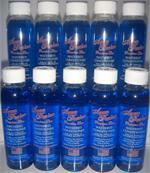 It also comes with a bottle of 4oz premium waterbed conditioner and a fill kit. Always Buy The Best Quality. Fits Super Single size 48 x 84 hardside waterbeds Heavy duty 12 Mil vinyl More durable than the standard liners It has reinforced corners Heater compatible black bottom Easy to use In stock for fast service This is the best quality liner. 80% Waveless Hardside Waterbed Mattress w/ 5-7 seconds of movement. This is a very comfortable semi wave mattress. Filled w/ 3 layers of soft fiber & quality vinyl w/ reinforced corners. Life Time Warranty. S/H is included for the 48 Cont. U.S. States. Waterbed mattress is very comfortable with about 5-7 seconds of movement. This mattress is available in California King, Queen or Super Single. Package includes Mattress, Liner, Heater along with a Fill Kit and Conditioner. In stock for fast delivery. The original Semi Wave Waterbed Mattress. Fits Super SingleHardside Waterbed Frames. 8-10 seconds of movement. Quality Vinyl. Reinforced Corners. 12 year warranty. Made by a U.S. manufacturer. In Stock for Fast Service. Safety Liner for California King, Queen or Super Single hardside waterbeds. Stand Up Safety liner is designed to catch water if you have a puncture a leak. Click size when ordering. 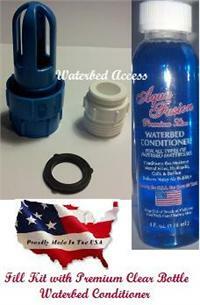 Waterbed Access has you safety liner in stock for fast service. Waterbed fill kit will make it easy to fill your waterbed mattress and it includes a bottles of 4oz premium waterbed conditioner. If you have a waterbed then a you should have a fill kit. This fill kit is made by a U.S. manufacture.